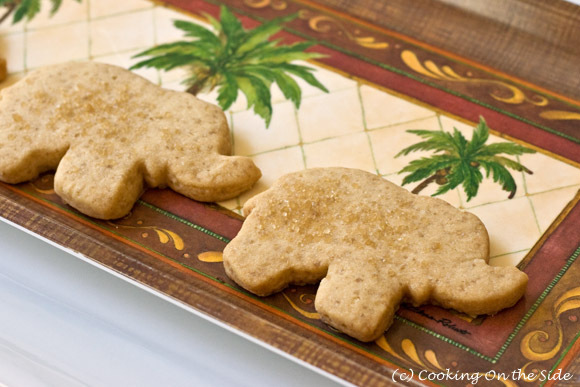 These little five-ingredient Peanut Butter Crunch Shortbread elephants marched their way into my kitchen the other day. Even though they’re made with peanut butter (get it – elephants? peanuts? ha ha), the crunch doesn’t actually come from peanuts. Even better: it’s turbinado sugar. Until now, I’d only ever used turbinado sugar – the kind with the large golden crystals – on two types of occasions: to stir into coffee when “regular” sugar wasn’t available or to sprinkle on top of muffins. It never occurred to me to bake with it. I’m glad that a shortbread recipe on the back of a turbinado sugar package enlightened me to its crunchy potential. What you get is a sandy-textured peanut butter shortbread (the peanut butter was my contribution to the recipe) with coarse sugar pebbles interspersed throughout. It’s fabulous! It’s gotten me thinking about other baking situations where you might want an extra sugar crunch inside your dough or batter…like maybe pie crusts? Or biscotti? How about pancakes? 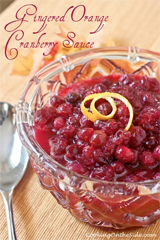 Apparently you can substitute turbinado sugar one for one with refined sugar in recipes. I still have a few cups left in this bag…I’m ready to experiment! Adapted from Nora’s Golden Crunchy Shortbread recipe on the back of the Wholesome Sweeteners Organic Turbinado Sugar package. Preheat the oven to 350°F. Lightly grease two baking sheets (or line with parchment). Beat together the butter, peanut butter and sugar in a large bowl until combined. Be careful not to over handle the dough. Add the sifted flour and salt and work together to form a stiff dough, then knead lightly for a few moments until smooth. With a rolling pin (dust with flour if needed), roll out the dough to a thickness of about 3/8 inch thick. Using a small cookie-cutter, cut 24 cookies, re-rolling the trimmings, and place on the baking sheets, well spaced to allow for expansion. Sprinkle cookies with extra turbinado sugar. Bake for 12-15 minutes until pale golden brown. Cool the cookies for a few minutes and transfer to wire racks to cool completely. 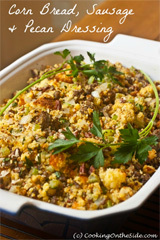 Turbinado is one of my favorites for adding a little crunch and sparkle. These are adorable cookies! 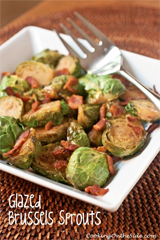 These are adorable and they sound delicious! Big hit with my daughter! She says you should make carrot shortbread shaped as bunnies next. These look so great! I love peanut butter anything! These cookies are adorable. You don’t have to make food look fun for me to want to eat it but I know there is no way I could pass these up if I saw them. The fact that they have turbinado sugar is a definite draw too. 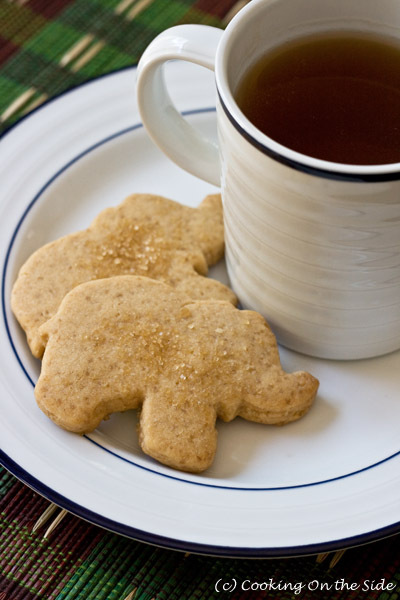 I love the elephant shapes and I can’t wait to try shortbread with peanut butter! So cute! I think I’ve only used turbinado for topping too. 5 ingredients!? What a fabulous after school snack! They are so cute.